Exactly what does it mean to drill for oil in the Arctic Ocean? 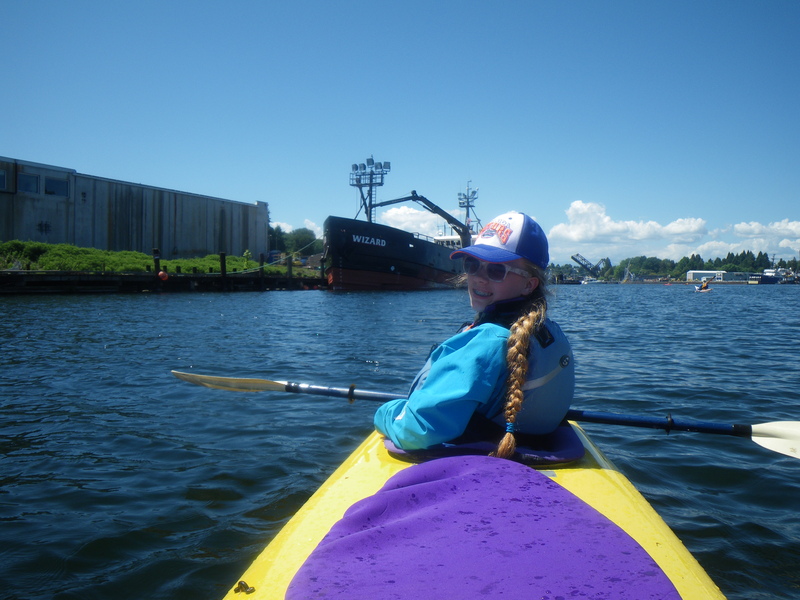 The Shell oil rig Polar Pioneer left the Port of Seattle yesterday after being briefly delayed by the Kayaktivists who attempted to block it (King5 News video). 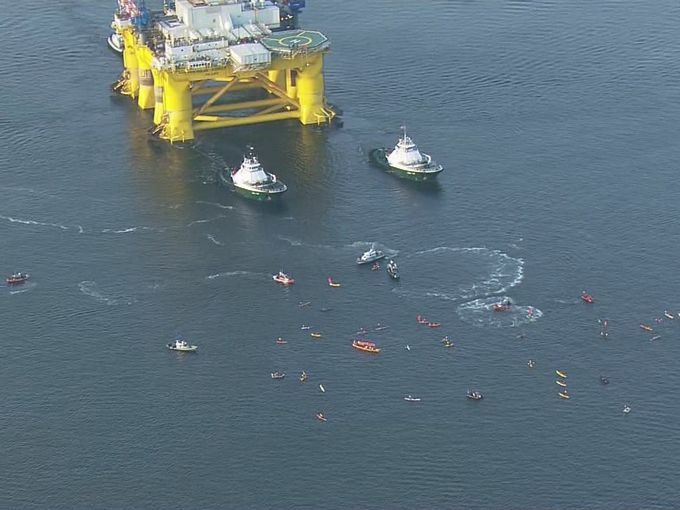 Protestors blocking Polar Pioneer from leaving Seattle. 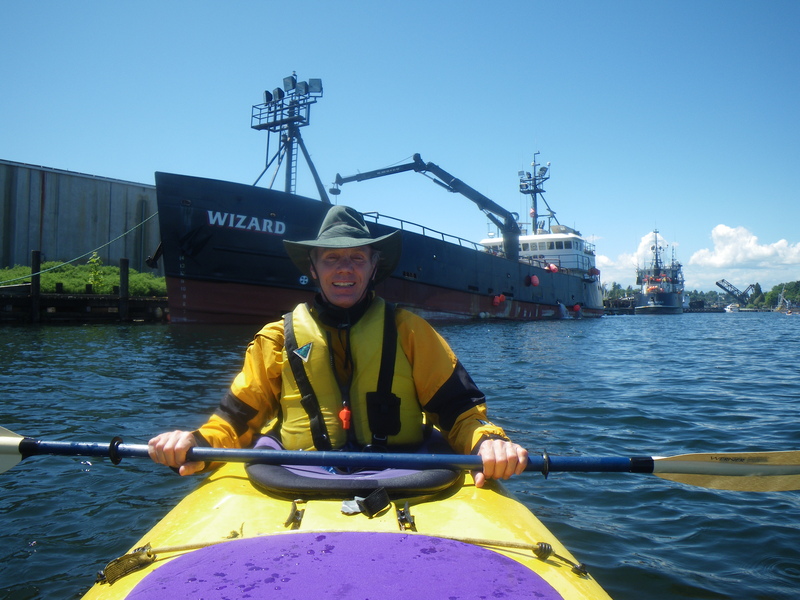 A month ago, protestors gathered to protest Shell Oil docking the oil rig Polar Pioneer at the Port of Seattle where they made preparations to go to the Arctic Ocean to drill for oil. I attended that event, not so much to protest as to get an understanding of the issue and to get a chance to see the behemoth rig up close. At 400 feet tall, it towers over everything else in the port. What I came away with was an Oh Sh*t! moment. Crab fishing ship “Wizard” from “Deadliest Catch” docked in Seattle. Meanwhile, 1000 miles to the North, in the Chukchi Sea, the storms are already raging as the Shell oil rig Polar Pioneer prepares to shut down drilling operations and head back to Seattle, WA before the ice traps it there. The ice pack is already quickly growing, making navigation more and more hazardous. 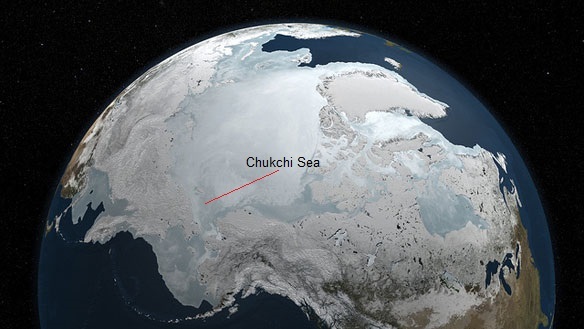 Soon the Chukchi Sea will be completely impassable until next June. Arctic Ocean is covered with ice most of the year. 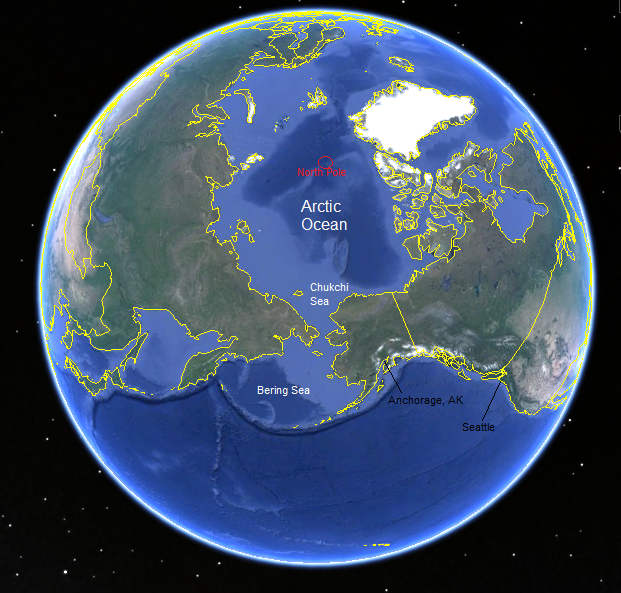 The Chukchi Sea is the sea just north of the Bering Strait that separates Russia and Alaska. This part of the Arctic Ocean is only navigable 4 months of the year. Winter is fast approaching and already the pack ice is making the ocean treacherous for ships, particularly oil rigs. 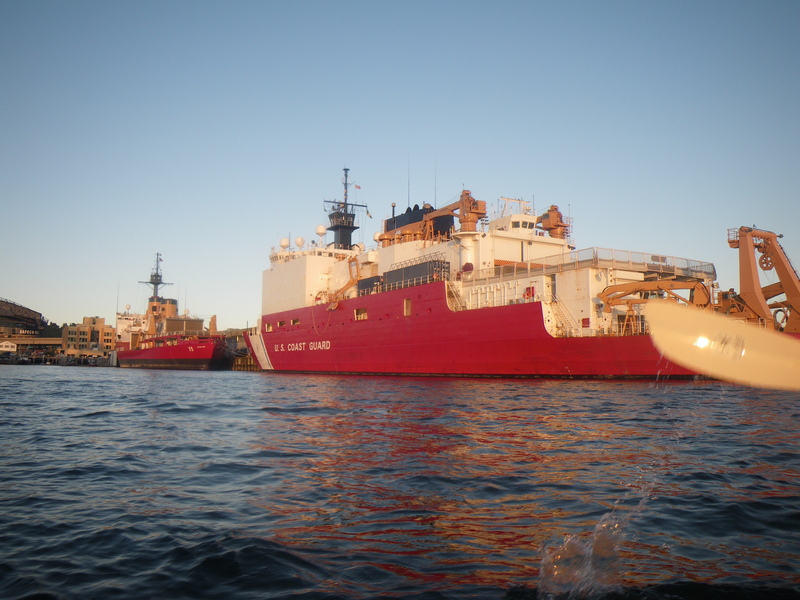 their only ice breaker in the North Pacific, is stationed in Seattle, WA, over 3000 miles away. It took 3 months to cap the oil well in the Deepwater Horizon disaster which released 210 million gallons of oil. But here in the Arctic, it will be at least another 8 months before crews can even attempt to return to cap the oil well drilled by the Polar Pioneer. Icebreaker “Healy” in the foreground docked in Seattle this weekend. Once they finally begin the cleanup, the effort needed is overwhelming. Over that 8+ month period, crude oil would permeate the frozen sea ice and get carried far off before the ice melts and releases the oil into the ocean once again. And that oil would be released from the melting ice at a time when sea life is most vulnerable – just as the whales and other migratory species are returning to raise their young in the otherwise nutrient-rich Arctic waters. Some species of whales go without food for as much as 5 months while they wait out the winter in the warmer Southern waters and give birth. They will be depending on the food to be there when they return to the Arctic in the Spring. Other whale species, like the narwhal and the beluga, stay in the Arctic all winter long, surviving by finding the fractures in the ice to reach the surface for air. At times they may be confined to one small rift in the ice for months, unable to swim to another as they are too far apart. If the oil spill gathers in these fractures, the whales will all be killed, having no place to escape. Similarly, ringed seals survive the winter by constantly carving and maintaining a hole in the ice so they have a place to breathe. And the polar bears that eat the ringed seals would also suffer the consequences. An oil spill under the winter Arctic ice would be catastrophic by orders of magnitude worse than anything we have experienced before. Unlike the Deepwater Horizon spill, where the oil well was much deeper underwater and “confined” within the protected waters of the Gulf of Mexico, the Chukchi Sea is relatively shallow with much stronger currents and violent weather, quickly dispersing the oil over a much broader area. It would choke the relatively narrow Bering Strait, the single entry point for all life migrating from the Pacific Ocean into the Arctic. The devastation of a spill there would make the Deepwater Horizon spill insignificant by comparison. And no amount of fines imposed on Shell Oil could compensate for the destruction. Even Lloyd’s of London warns against the risk. The scenario I described here is not at all far-fetched and there are many more scenarios that they are unprepared to handle. It may take 5 or 10 or even 20 years for a major spill to occur. But when it eventually does, the consequences will be catastrophic. Like Adam and Eve with the apple, just because oil may be there doesn’t mean it should be taken. 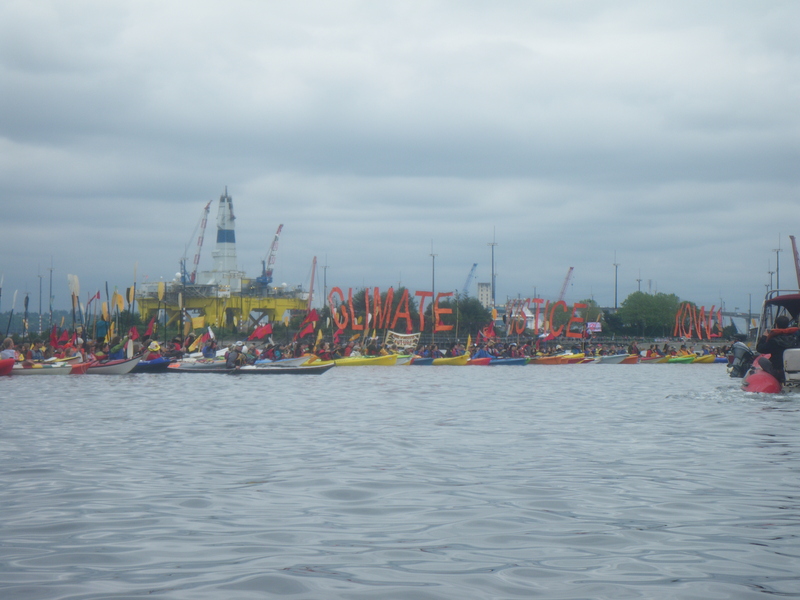 The Kayaktivists have done well to draw attention to this issue and begin to get the message out. Awareness is the first step. The Sierra Club is working with Congress to get this activity banned. Visit their pages to see how you can help support the cause. Footnote: Applications used to manage the complex data gathered in the cleanup of the Deepwater Horizon spill were created in IBM Lotus Notes. Posted on June 16, 2015, in Environment and tagged Arctic, environment, kayaktivists, oil rig, oil spill, Polar Pioneer, Shell. Bookmark the permalink. 1 Comment. Thank you for bringing that up. That isn’t a point in support drilling in the Arctic, that is a diversion from the issue. But it is worth addressing. In a perfect world there would be no need for petroleum at all perhaps. But the reality is every facet of our world uses petroleum-based plastics. It would be virtually impossible to avoid them. On the other hand, with petroleum essential to so many products made today, it is even more important that we don’t waste it to generate energy when other methods are available. In fact, the biggest danger in running out of petroleum isn’t that our cars will stop running. It is that we won’t have the materials to make them. The protestors aren’t arguing against petroleum products. Their point was to find alternatives to using oil for energy rather than endanger that ecosystem in ways that we are not even close to able to manage when a spill occurs. You have to start somewhere and there is some point in which the risk is just too great, regardless of the return. The problem is not “Where do we find more oil to consume?” The problem is “How do we consume less oil?” FWIW, there were many wooden boats out there including the dragon boats that the Native Americans used. And the barge they used for their center of operations was 100% solar powered.